What a Joy all our goldens have brought to our lives! It is an honor to share our hearts and home with these Golden Angels! Annie is a fun and entertaining little girl, with the happy exuberant dispostion as her mother. She is sired by STORM and out of LILLY, born spring 2016 here at Goldenpride. Annie will join our breeding program Spring 2018. Annie carries a lovely thick soft golden coat that is easy to care for. She carries excellent bone and structure that her sire has passed on to her. Annie loves to chase balls and can move like the wind. She stives to please and would certainly pass on these qualities to all her offpring. Her soft brown eyes and love of life has enhansed our lives here daily! ﻿Autumn carries a rich deep golden coat that required little maintenance. She is moderate in size and well structured. She can run like the wind and enjoys the outdoors. Her sweet disposition and eagerness to please has made her a ease to train. She has a sweet and loving disposition and loves to be with our family, either sleeping ontop our feet or riding in the truck for an adventure. Autumn is full sister to our boy Sebastian, born May 12,2014 and has passed all her OFA Health clearances. She is youthful and energetic, always sharing her sunny disposition. She has two puppies that have gone on to be caring therapy dogs for those needing constant companion. Kira is our very own from a breeding with Heidi (Retired) and Storm (Retired Echo Son), born April 15, 2015. She is exceptionally special girl we knew right from the start. She has a full thick smooth and envious coat that is easy to care for. Kira has a beautiful strong head and carries great substance and bone. She is Golden in her affection which you can see in that soft expression and gentle ways. kira was never a fan of the show ring but would have surpassed my expectation in the show ring. She'd rather relax at home without the commotion. She has passed all of her OFA Health clearances and has produced lovely offspring, one of which is our girl Missy. Lucy is special girl here, with her affectionate and fun filled personality. She is bright and intellegent always finding her way into everyones heart. She is well structured and carries great bone. 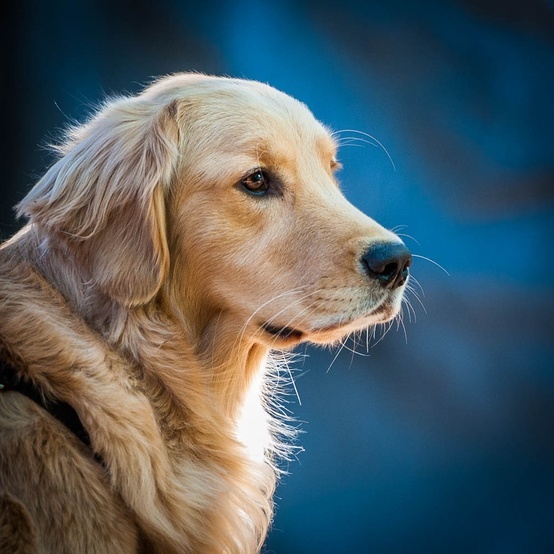 She is medium sized with beautiful smooth golden coat when she is in full coat. This girl has tonnes of personality and loves to play. She can be a snuggle bug! She loves to play in the water during the summer and has entertained us watching her funny quirky ways. Watch out for those soft brown eyes, she knows how to use them to melt your heart. Miss Missy, as we call her, is one from our own breeding with her mom (Kira) and sire (Sebastian). She is our keeper puppy with Kira stamped into her bloodlines through our founding sire ECHO. Born February 2018, she will grow up here with us as she waits maturity and health clearances. Missy has boundless puppy energy, and loves playing with all the dogs. She has beaautiful bone and structure which gives her that lovely blocky solid look. Her coat is a georgeous rich golden color. Missy is a happy outgoing girl yet has the gentle nature of both her parents. Her expressive dark eyes will melt your heart as she follows your around for a treat or just a cuddle. She is sassy and fun all at the same time, making her our little clown! We are proud to add Sugar into our breeding program. She is our first English cream style gir,l imported from the United States, and is now AKC and CKC registered. She comes with the typical creamy coat, and big expressive soft eyes. Sugar has a sunny happy disposition, with lust for life. She is a delightful girl, who gets along with everyone! Born February 2017, she will be our first girl to produce some English style golden puppies SUGAR has passed her health clearances. Pictures updated as she grows. Whisper is, as her name suggests, soft and gentle. She is a true to the English lines and imported from the United States from VanGoghlden Retrievers. She is absolutly the sweetest natured little girl born June 2018. She is an exciting addition to our english program as I waited 2 years for. She is a happy outgoing girl with the gentle expressive eyes that will melt anyone's heart. She has georgeous big head, with black pigment and her creamy soft color, she looks like a teddy bear. more pictures to follow as she matures.